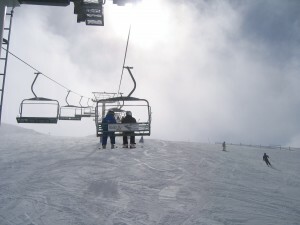 Ski Hire Mt Buller and Mansfield Victoria for the whole family. For great days skiing, we have the latest selection of carving skis that will cater from the beginner to the advanced skier. All our skis are maintained with a base repair, edge sharpening and fresh wax before every hire to guarantee top quality performance on the mountain in any condition. Try and buy Demo range. So for the best ski hire Mansfield has to offer, drop into the last shop on the left – Ski Chute Four. Bring the family into Ski Chute 4 to be decked out from head to toe. We can cater to all rental and retail requirements. All of our hire clothing is treated with Nikwax Tech Wash/TX Direct to ensure the best level of waterproofing available. We have sizes from O to 6XL. Snowproof walk boots are a must, starting at small toddler sizes. wristguards are also included free of charge with snowboard hire. Drop into see our friendly staff, we are happy to help you out with advice on the right gear for your snow experience. If this is your first time to Mt Buller, we can give you tips on how you can make the most out of your day and which parts of the mountain will suit your level of experience. We can also help you with gate passes, snow chains and clothing. A great tip for experienced skiers that are driving up to Mt Buller is to hire your ski gear in Mansfield, head up early, park your car in the Horsehill car park and take to Horsehill chairlift straight to the slopes. This way you will avoid the village and the crowds, spend the whole morning enjoying the snow and head down to the village for lunch. Our shop is located on the left, at the Mt Buller end of High St Mansfield. Ski hire discounts are also available for large groups, students and Facebook fans.